Dr. Steve Ayers, our pastor, delivers the message today, Sunday, Sept. 30, with scriptures from Psalm 124 and Mark 9:38-50. Dr. Winfry Whicker is the deacon of the week. He will read the Old Testament scripture and have the morning prayer. If you would like to donate to help those who are affected by Hurricane Florence you may do so by noting on your offering envelope or check “CBF Hurricane Florence Relief”. Bridges Out of Poverty is a workshop that will offer insight into the world of people in poverty, revealing how the survival-based mentality of poverty impacts learning, work habits and decision making. Classes are from 6:30-8 p.m. on October 4 and 11. The nursery during the Early Service needs more volunteers. Specifically for the 2nd Sundays of the even months, 1st Sunday of odd months, and possible alternates if people can’t do their week. Please contact Jordan Plemmons if you’d be willing to fill those spots or want to be an alternate. Call / text 704-706-4222 or email jplemm1118@gmail.com. Old Fashioned Hymn Sing by the Piedmont Choral Society will be on Sunday, October 7, at 3 pm at Forest Hill Methodist Church. Bring a canned good for CCM. The Mobile Mammography Coach will be at McGill on Tuesday, October 9, from 8:30 until 3:30. An appointment is required so please call 704-403-1729 to schedule. Financial assistance is available. Please have your physicians first and last name when you make an appointment. 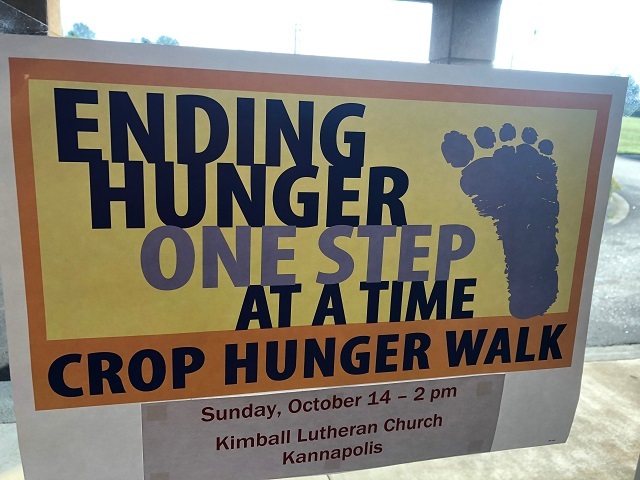 The 2018 CROP Walk is on October 14 at 2 p.m. at Kimball Lutheran Church. See Donna Duncan if you’d like a packet or if you’d like to sponsor a walker. You can also go online and make a contribution. The Fall Festival is on October 26. Please bring wrapped candy for prizes. Race Together is an engaging and informative 6 week community series for those that would like to discover more on the topic of race in the U.S. Classes will be here from October 7-November 11 from 3-5 pm. Food on the First: The R.A.I.N. Closet needs toilet paper and cleaning supplies. Please pick up other food for CCM, PLC and Esther’s Heart Transformation (peanut butter and crackers). Pastor Dr. Steve Ayers delivers the sermon “First and Last” today, Sunday, Sept. 23, with the scriptures from Psalm 1 and Mark 9:30-37. Loree Anderson is the deacon of the week. She will read the Old Testament scripture and have the morning prayer. 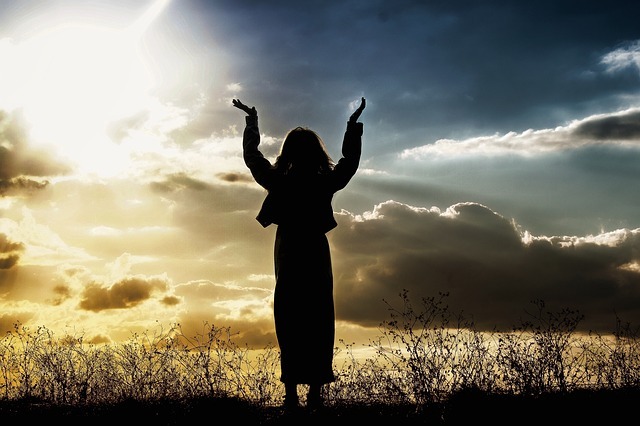 Today there will be a congregation meeting to adopt the revision in the church by-laws. If you would like to donate to help those who are affected by Hurricane Florence you can do so by noting on your offering envelope or check “CBF Hurricane Florence Relief”. Bridges Out of Poverty is a workshop that will offer insight into the world of people in poverty, revealing how the survival-based mentality of poverty impacts learning, work habits and decision making. Classes are on Thursdays from 6:30-8 p.m. on September 27 and October 4 and 11. All church members are invited to attend. On September 29 at 6 p.m. the M & M Group will watch the movie “Won’t You Be My Neighbor” and have a short discussion following. Light snacks will be provided. Operation Christmas Child: September-Journals, notepads and small school supplies. See the list in for lobby for all supplies that are needed. The R.A.I.N. Closet needs toilet paper and cleaning supplies. Please pick up other food for CCM, PLC and Esther’s Heart Transformation (peanut butter and crackers). Dr. Steve Ayers delivers the sermon with scriptures from Mark 8:27-38 and Psalm 19. Ginger Zsambeky is the deacon of the week. She will read the Old Testament scripture and have the morning prayer. Today, Sept. 16, there will be a congregation meeting to adopt the revision in the church by-laws. Bridges Out of Poverty is a 4-session class that will be held on Thursdays from 6:30-8 p.m. on September 20, 27, October 4 and 11. All church members are invited to attend. This workshop will offer insight into the world of people in poverty, revealing how the survival-based mentality of poverty impacts learning, work habits and decision making. The Deacons will have a dinner meeting on Sunday, September 23, at 6 p.m. Deacons who are rotating off the Diaconate, please bring your books and leave in the church office. Please call the church office if you have a change of address, phone number or email address ASAP. The End of Summer bash was a blast for those who participated. Dr. Steve Ayers delivers the sermon today, Sept. 2, with scriptures fromSong of Solomon 2:8-13 and James 1:17-27. Dr. Winfry Whicker is the deacon of the week. He will read the Old Testament scripture and have the morning prayer. The Tuesday Bible Study group will meet at 11:30 this Tuesday at E-Noodle for lunch. Beginning September 11 at noon there will be a study of the book “Challenge of Paul”. Everyone is invited this Wednesday as we begin the fall schedule for missions and the music programs. Come at 5:30 and enjoy a hot dog. There will be a time for information and registration for choirs and ensembles. 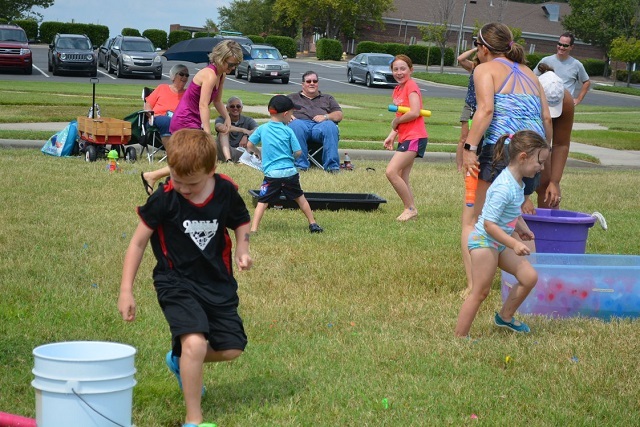 The End of Summer Bash will be on Saturday, September 8, at 2 p.m. Bring a towel and water guns and have some water fun. Ice cream will be served. The Deacon Nominating Committee presents the following members to serve a three-year term: Joe Anderson, Jason Ball, Erin Currie, Meredith Farrell, Kim Lyda and Jeff Young. The election will be during the worship service on September 9. The M & M’s will assemble care packages for college students on September 9 at 5 p.m. If you have a college student please give the church office or Jaime Poe their mailing address today. 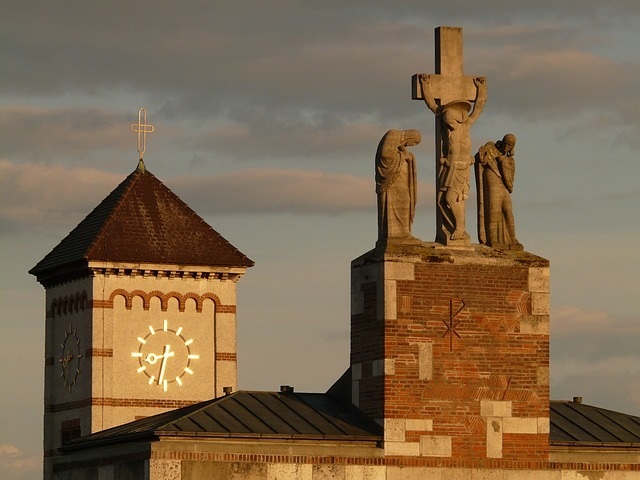 On September 23 there will be a congregation meeting to adopt the revision in the by-laws. The Concord Wildlife Alliance invites you to come to their meeting on September 4 at 6:15 at the church to hear Larry Dickerson, a master falconer, from Statesville. He will be accompanied by his 10 year old goshawk, Daisy. Bridges Out of Poverty is a 4 session class that will be held on Thursdays from 6:30-8 p.m. on September 20, 27, October 4 and 11. All church members are invited to attend. This workshop will offer insight into the world of people in poverty, revealing how the survival-based mentality of poverty impacts learning, work habits and decision making. Please see Bruce Arrowood if you would like to purchase BBQ. Dr. Steve Ayers delivers the sermon today, Aug. 26, with scriptures from Psalm 84 and Ephesians 6:10-20. Miles Simpson is the deacon of the week. He will read the Old Testament scripture and have the morning prayer. Both services will be feature a “blessing of the bookbags” and the students and teachers who are headed back to school. Tonight at 6 p.m. there will be a discussion of the changes to be made to our church by-laws. A vote will be taken during worship on September 23. The Concord Wildlife Alliance invites you to come to their meeting on September 4 at 6:15 at the church to hear Larry Dickerson, a master falconer, from Statesville. He will be accompanied by his 10 year old goshawk, Daisy. This will be a unique opportunity to learn about these beautiful and fascinating birds as well as about the sport of falconry from one of the most knowledgeable falconers in the county. This will be especially interesting to children. Bridges Out of Poverty is a 4 session class that will be held on Thursdays from 6:30-8 p.m. All church members are invited to attend. This workshop will offer insight into the world of people in poverty, revealing how the survival-based mentality of poverty impacts learning, work habits and decision making. You will learn the “hidden rules” of poverty, middle class and wealth and will begin to explore practical yet compassionate strategies for engagement that can have a positive impact on people’s lives. Dates are September 20, 27, October 4 and 11. Operation Christmas Child August: Crayons and scissors September: Journals, notepads and small school supplies (ages are 2-4, 5-9 and 10-13). Dr. Steve Ayers delivers the sermon today, Sunday, Aug. 19, with scriptures from Proverbs 9:1-6 and Ephesians 5:15-20. The Rev. Allen Scott is the deacon of the week. He will read the Old Testament scripture and have the morning prayer. Next Sunday night, August 26, at 6 p.m. there will be a discussion of the changes to be made to our church bylaws. A vote will be taken during worship on September 23. The Deacon Nominating Committee presents the following people to serve a three-year term: Joe Anderson, Jason Ball, Erin Currie, Meredith Farrell, Kim Lyda and Jeff Young. The election will be during the worship service on September 9. The Concord Wildlife Alliance invites you to come to their meeting on September 4 at 6:15 at the church to hear Larry Dickerson, a master falconer, from Statesville. He will be accompanied by his 10-year-old goshawk, Daisy. This will be a unique opportunity to learn about these beautiful and fascinating birds as well as about the sport of falconry from one of the most knowledgeable falconers in the county. This will be especially interesting to children. Dr. Steve Ayers delivers the sermon today, Sunday, Aug. 12, 2018. The scriptures are from Psalm 34:1-8 and Ephesians 4:25-5:2. Phillip Riley is the deacon of the week. He will read the Old Testament scripture and have the morning prayer. The Deacons will meet today at 2 p.m.
Bridges Out of Poverty is a 4 session class that will be held on Thursdays from 6:30-8 p.m. All church members are invited to attend. This workshop will offer insight into the world of people in poverty, revealing how the survival-based mentality of poverty impacts learning, work habits and decision making. You will learn the “hidden rules” of poverty, middle class and wealth-and will begin to explore practical yet compassionate strategies for engagement that can have a positive impact on people’s lives. Dates are September 20, 27, October 4 and 11. Operation Christmas Child for August: Crayons and scissors (ages are 2-4, 5-9 and 10-13). Copies of the July financial report are available in the lobby. Please pick one up today. McGill was well represented at the back to school event Saturday. Samaritan’s Feet, a community-wide effort provided new shoes and back to school supplies Saturday to those in need. 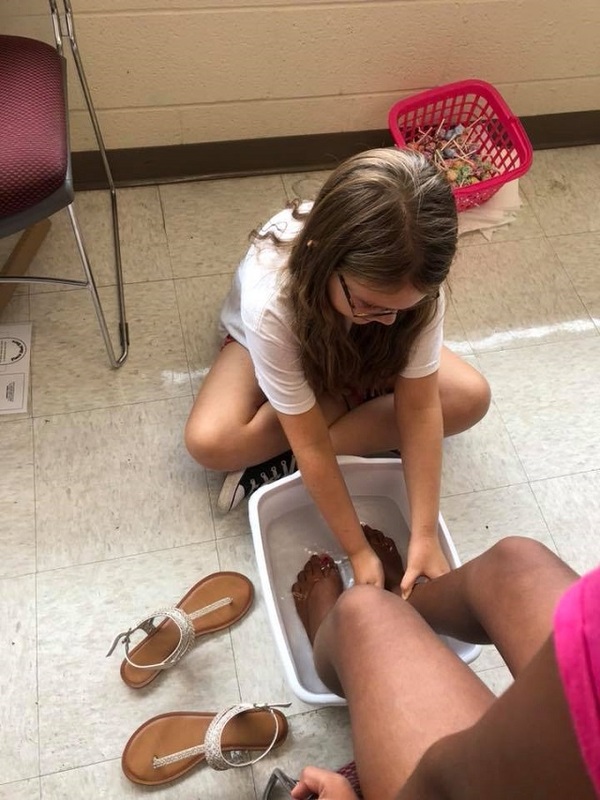 It included the Christian act of love – washing to the feet. Dr. Steve Ayers delivers the sermon, “We Must Grow Up,” today, Sunday, Aug. 5, with scriptures from Psalm 51:1-12 and Ephesians 4:1-16. Dr. Jaime Tippett-Poe is the deacon of the week. She will read the Old Testament scripture and have the morning prayer. On Wednesday, August 8, rising 6th graders through seniors and their parents are invited to the Northwest Pool from 5-8 p.m. Please let Paul Haywood know if you can come. The J.O.Y. Club will meet Thursday, August 9, at11:00 a.m. Our program will be on Beekeeping by local beekeeper Russ Olson. Come and enjoy a delicious meal and interesting program. McGill will host “Getting Ahead” Classes on Thursday nights from August and thru November 15. The class offers a new perspective for understanding and addressing the dynamics which characterize life in poverty and why is it so difficult for people to break out of poverty. Thanks to everyone who has agreed to provide a meal for the group each week. McGill supports the following ministries by collecting donations the first Sunday of every month. Please bring any contributions this Sunday’s services 8:30am or 10:45am to help our community outreach. 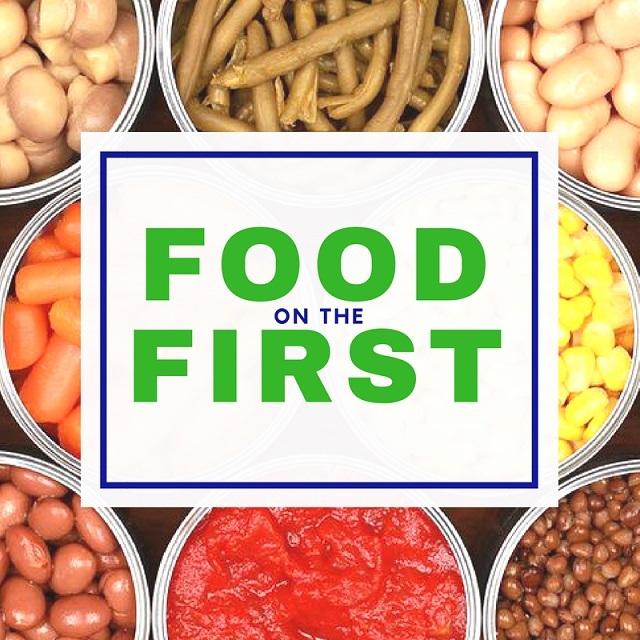 Cooperative Christian Ministry needs include soups, pork and beans, saltine crackers, breakfast items, canned meats and canned fruits and vegetables. During the summer months children will not have breakfast or lunch at school. Cereal, breakfast bars and peanut butter and jelly are needed. The R.A.I.N. Closet needs cleaning supplies and Clorax. If you would rather give money to the church to purchase food for C.C.M., P.L.C. or R.A.I.N. supplies you can do so by noting on your giving envelope and check the amount you would like to go towards any of these missions. The Samaritan’s Feet event will be on Saturday, August 11, for 10 a.m. until 1 p.m. Shoes will be given out to children in need in our community. Please sign up today to volunteer or see Donna Duncan with questions. Part of the Samaritan’s Feet event will be packing of backpacks at Epworth United Methodist Church on Wednesday, August 8, at 6 p.m. Backpacks will be given out on August 11 during The Samaritan’s Feet event. Dr. Steve Ayers delivers the sermon today, Sunday, July 29, with scriptures from Psalm 14 and John 6:1-21. Dan Philbeck is the deacon of the week. He will read the Old Testament scripture and have the morning prayer. The flowers today are given by the family of Archie Ritchie in honor of his 90th birthday, today, July 29, and in appreciation to God for the blessing he is to each of us. Wanda Ritchie, William and Anne Austin, Jeff and Cindy Ritchie, John and Debbie Ritchie, Hannah and Catherine Ritchie, Bob and Courtney Owens, Knox, Nash and J.C. Owens, Kevin and Kendall Gulledge, Kaleb and Abe Gulledge. VBS / Parent’s Night Out is Friday, August 3, from 6-8 p.m.
McGill will host “Bridges Out of Poverty” Class and Hope Teams on Thursday nights from August and thru November 15. The class offers a new perspective for understanding and addressing the dynamics which characterize life in poverty and why is it so difficult for people to break out of poverty. McGill will provide a meal for the group each week. The following weeks are open if you would like to volunteer to help: August 30, September 6 or 27, October 4 or 25 and November 8 or 15. See Winfry Whicker with questions. Part of the Samaritan’s Feet event will be packing of backpacks at Epworth United Methodist Church on Wednesday, August 8, at 6 p.m. You are asked to donate school supplies for the backpacks through today, July 29. Backpacks will be given out on August 11 during The Samaritan’s Feet event. Please see Bruce Arrowood if you would like to purchase BBQ and Brunswick Stew. 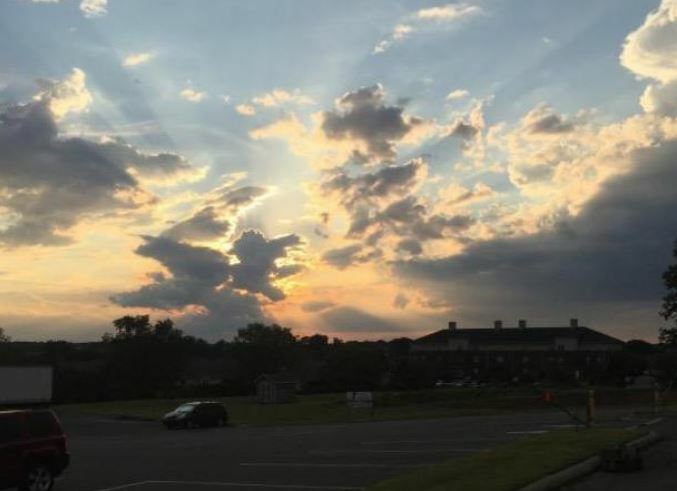 Looking west from the church at a recent sunset. Dr. Steve Ayers delivered the sermon today, Sunday, July 22, with scriptures from Jeremiah 23:1-6 and Ephesians 2:11-22. The Rev. Tim Pace is the deacon of the week. He will read the Old Testament scripture and have the morning prayer. Mark your calendar for VBS / Parent’s Night Out on Friday, August 3, from 6-8 p.m.
McGill will host “Bridges Out of Poverty” Class and Hope Teams beginning in August and will continue each Thursday thru November 15. The class offers a new perspective for understanding and addressing the dynamics which characterize life in poverty and why is it so difficult for people to break out of poverty. McGill will provide a meal for the group each week. The following weeks are open and we would appreciate you volunteering to help on August 23 or 30, September 6, 20, or 27, October 4, or 25 and November 8 or 15. See Winfry Whicker with questions. The Samaritan’s Feet event will be on Saturday, August 11, for 10 a.m. until 1 p.m. Shoes will be given out to children in need in our community. Please sign up in the back of the sanctuary to volunteer or see Donna Duncan with questions. Part of the Samaritan’s Feet event will be packing of backpacks at Epworth United Methodist Church on Wednesday, August 8, at 6 p.m. You are asked to donate school supplies for the backpacks through July 29. Backpacks will be given out on August 11 during The Samaritan’s Feet event.